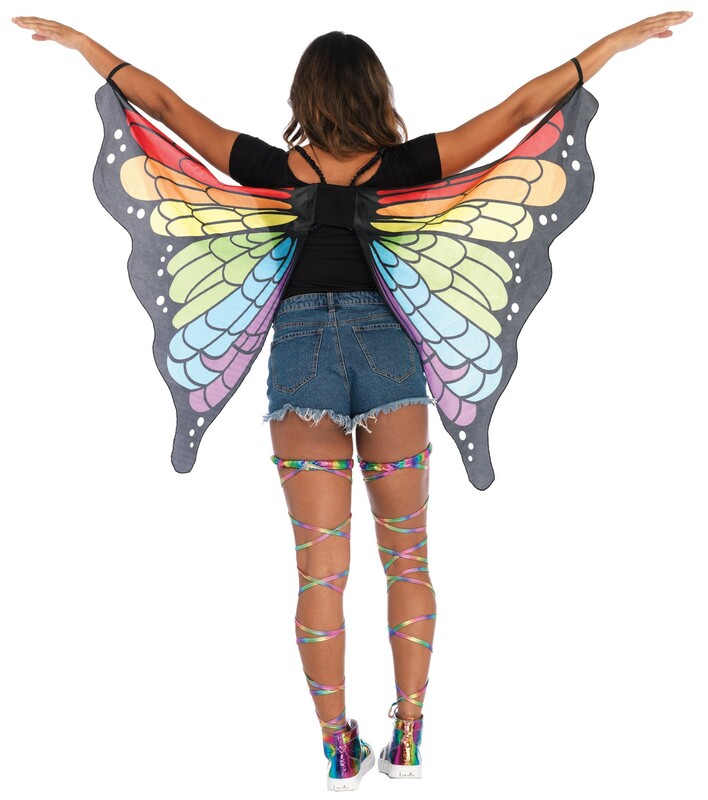 Frolic around like a butterfly with these whimsical rainbow wings! These sheer lightweight butterfly wings attach with shoulder and wrist bands. Perfect for a DIY butterfly costume! One size fits most.